The Grand Armada. Top, from left to right: Lovecraft, Krampus, Bor Gullet. Middle, from left to right: Corinth, Worf, Merian. Bottom, from left to right: Hestia, Ogygia, Miercoles. The past few months have seen me working on new “larger” Inktopodes, members of the Grand Armada. 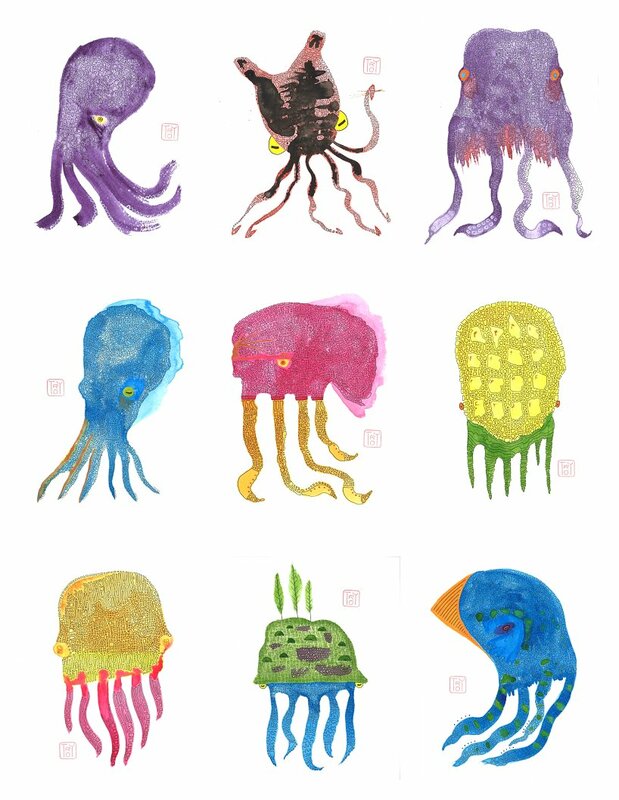 These pieces of original artwork are watercolor ink, India ink, gouache, and pigment-based iridescent calligraphy ink on 8″ x 10″ watercolor paper.